We are republishing an article from the San Francisco Forest Alliance with permission. This excellent summary of Dr. Carroll’s presentation was approved by Dr. Carroll. Dr. Carroll is a leader in the scientific community in identifying rapid evolution as a mechanism which enables introduced species to rapidly adapt to their new environment as well as the ability of their new neighbors to adapt to them. Mixed communities, consisting of non-native and native species of plants, animals and other organisms, are here to stay. We need to find ways to live with these new neighbors. Once they are introduced, they will evolve, and so will the species that were already there. Trying to eradicate “invasive” and non-native species is expensive, likely to cause unforeseen problems, and have uncertain success – in part because evolution will make a moving target of an introduced species. 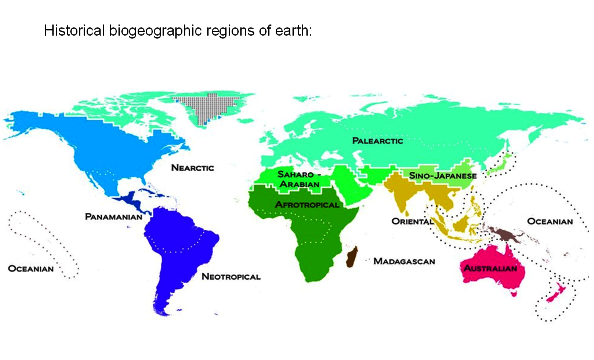 Plants and animals have always moved around the planet, but gradually enough that the world had distinct bio-regions with their own indigenous species. About 500 years ago, shipping greatly increased the pace – people deliberately or inadvertently introduced species into new places. It’s what people do. “Invasion biology” as a discipline originated with Charles Elton’s 1958 book. The response to Invasion Biology is a deeply emotional one, coming from a sense of how an ecosystem should look and how species should interact. The transfer of species around the globe has been called the greatest ecological spasm since the extinction of the dinosaurs. But is it? In fact, there’s been a much more important change. The amount of wilderness on the earth’s surface has fallen sharply, from around 50% in the 1700s, to around 20% by the year 2000. The rest is cultivated or range lands or built-up. We need to look at invasion biology – permanently mixed communities of native and introduced organisms – in the context of that land use change. These land use changes drastically altered the environment for all species, with a major impact on all species and ecological relationships. Natural selection picks new winners: Changed environments have different fitness criteria, so plants or animals that were successful before may become losers. If populations decline, it reduces their chances of evolving to meet the new environment: fewer individuals mean a smaller gene pool, fewer potentially beneficial random mutations, and fewer offspring. Some species go extinct. How do we define an “Invasive Species”? Very specifically, they are doing something that we do not like. This means that it has to be defined with reference to who “we” are. The definition of “invasive” must include who is doing the defining. In some cases there’s broad agreement. Nearly everyone agrees on fighting invasive disease-causing insects, for instance. In the case of plants and trees and animals, people may diverge sharply in their opinions. Eucalyptus is an example; those who dislike it make consider it invasive; others would disagree vehemently. The ‘eradication’ arm of Invasion Biology – i.e. those looking to destroy introduced species, perhaps 90% of invasion biologists – is fighting a very difficult battle. It’s extremely expensive, and risks doing much more harm than good. 1. It’s extremely expensive, both in time and effort. Even in cases that seem possible – eliminating rats on an island, for instance, it may be an uphill battle. The first 75% are easy to kill. The next 20% are more difficult. By the time you’re down to the last 5%, your team is exhausted and you’ve “spent $3.2 mn of your $2.7 mn budget.” You haven’t seen a rat recently, so you leave. And then – the 2% of the rats that remain reproduce and repopulate the entire island in five years. 2. It doesn’t necessarily solve the problem. Even if you succeed in killing off the invader, it won’t necessarily bring back the ecosystem that existed before. For instance, soil conditions may have changed so instead of native plants returning, other non-native plants – or nothing at all – grows. 3. 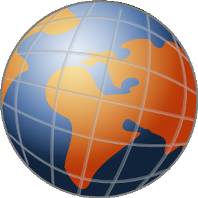 It can disrupt ecological systems. For instance, an introduced predator may have been keeping an introduced plant-feeding prey species in check. Once the predator is eliminated, the prey may destroy vegetation and the ecosystem as it exists. 4. It can disrupt replacement ecological relationships that existing plants and animals may have developed with the “invaders.” They may be providing food, seed dispersal, pollination, cover and other ecosystem services. For instance, if a native plant species is declining because of climate change, an introduced species can provide food for birds, animals and insects. 5. Sometimes, the new species provide a new ecosystem service to existing species, and destroying them would hurt the native species too. 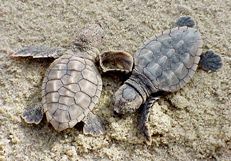 For instance, beachside non-native trees may protect turtle hatchlings from artificial lights that can disorient them, and so improve their survival rates. Or the non-native species may be controlling a different non-native species that might otherwise become a pest. 6. Trying to kill off non-natives can drive them to evolve resistance to the agent used to kill them. This is a common problem when herbicides are widely used to kill “invasive” plants. 7. Killing non-natives may reduce biodiversity of the area by reducing the pressure on native species to diversify and become new species. 8. The new species may directly increase biodiversity in the area, and eradicating them reduces this biodiversity. A story that illustrates many of these problems is that of the myxoma virus, used to control Australia’s huge rabbit population. The Iberian (or European) rabbit was introduced into Australia by Europeans in the 19th century, and eventually bred so prolifically that it started to destroy the environment. In the 1950s, the Australian government introduced the myxoma virus, a New World rabbit disease lethal to European rabbits. Initially, that killed 99.5% of infected rabbits, and the population plummeted. But the surviving rabbits continued to breed until the next time the disease went around. With each successive outbreak, the mortality declined. Frank Fenner, the scientist overseeing the project, found that the virus was attenuating – becoming less lethal – while the rabbits were developing resistance to it. Eventually, each outbreak killed only 20% of the rabbits in the area. In 1952, a landowner in France introduced the virus on his farm to control rabbits. Soon it spread across that country, and then to Britain, where it killed 95% of the rabbit population. This led to the extinction of the British population of the Large Blue Butterfly. The butterfly is an unusual species whose caterpillars mimic larvae of the ant species Myrmica sabuleti, so they get carried into the ant’s nests where they eat the larvae. Rabbits cropping meadow-grasses had kept them short, providing ideal conditions for the ants. With the rabbits gone, the grass grew, ants declined, and the Large Blue Butterflies vanished. Meanwhile, the myxoma virus also reached the Iberian peninsula, where it devastated the native rabbit population. 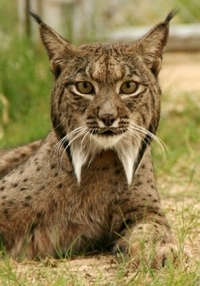 The rare Iberian lynx, which depends solely on rabbits as a food source, became critically endangered, and the Iberian eagle – which also preyed on rabbits – declined sharply. Officials are looking to vaccinate the wild rabbit population against myxomatosis. Another unforeseen consequence occurred on Macquarie Island. This desolate Australian island was a breeding place for seals and sea-birds. Human introductions of rats (inadvertently), rabbits (for food), and cats (to combat the rats) impacted the sea-bird populations. The eradicators first introduced fleas to the island as a vector for the myxoma virus, and then the actual virus in 1978. Then they eradicated the cats. However, the cats had been hunting the rabbits, and now the rabbits multiplied out of control reversing years of conservation efforts. The myxoma virus had likely attenuated, and failed to control the rabbit numbers. The rabbits grazing destroyed the hillsides where the penguins nested, causing landslides that harmed their breeding success. The story of the soapberry bug is more encouraging. Soapberries are a plant family with a number of separate species, two of which are invasive vines in Australia. They invade along water-courses, and grow over trees in those areas. One vine species reached Northern Australia around 1680; the other, much taller species arrived in Eastern Australia around in the 1920s and has become particularly damaging to the forests there. Soapberry plants have fruit of varying sizes with nutritious (to insects) seeds at the center. Soapberry bugs are specialized soapberry eaters, with long beaks to pierce the fruit and reach the seed. The beak-lengths of these bugs are evolved to fit the particular species of soapberry they prey on. When the introduced soapberry plants arrived in Australia, the native soapberry bugs had beaks too small to use the new food source. But with time, they started to evolve. In Eastern Australia, it took 30 years for the soapberry bug’s beak to evolve from 7 mm to 7.5 mm. That doesn’t sound like much, but an increase of 0.5 mm doubles the number of seeds the bug can reach. In Northern Australia, where the bugs have had over 300 years to evolve, their beaks have grown from about 5.5 mm in length to around 8 mm – exactly the length they need to attack the introduced soapberry plant. They match as well as if the soapberry plant was native. It’s the same species of bug. One interesting experiment would be to see if breeding the two strains would help the Eastern bugs grow a longer beak and control the soapberry vines better. Dr. Carroll recommended stopping the plant eradication program in Northern Australia to protect the long-beaked soapberry bugs there while evaluating whether interbreeding the two bug strains could accelerate the evolution to slow the spread of the large vine in Eastern Australia. It is interesting to see how nature adapts. The soapberry bug is a great example. The rabbits caused quite a chain reaction. Too many knee jerk reactions lead to many unforeseen consequences. So much cruel suffering because of human arrogance and not using common sense. But all very predictable. It does not take long to learn how native animals defend on and often prefer introduced trees for many reason. Who in their right mind would want to eliminate eagles and hawks in their crazed effort to kill magnificent introduced trees? I just hope more realize what is happening and joins us in trying to stop this nativist environmentalist devastation.